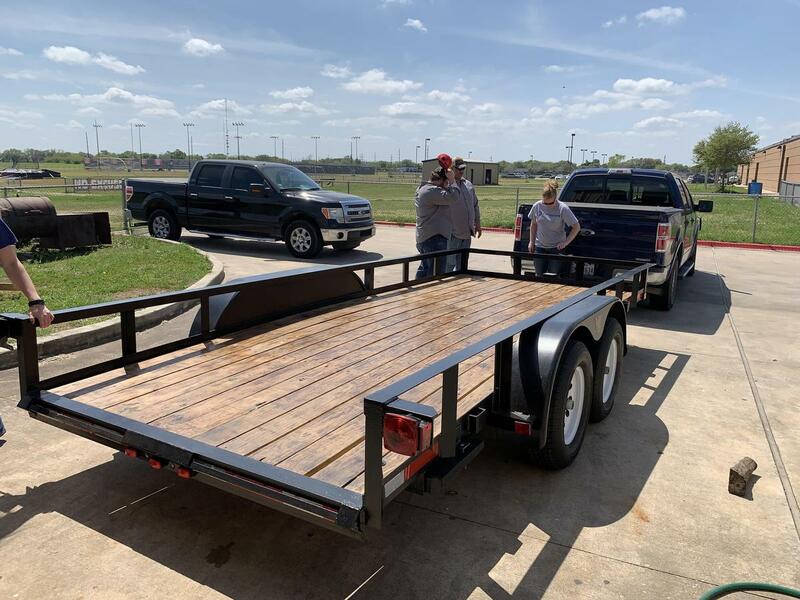 Earlier this afternoon, students from the Victoria East FFA presented the VISD Maintenance Department with a brand new trailer, built from scratch! 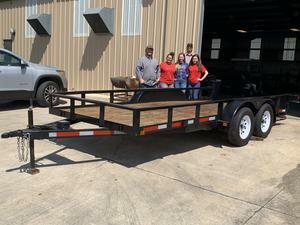 Our Maintenance Department sponsored the all-female team by providing the materials to build the trailer earlier this year. Kagan Migl (senior), Angelica Campos (junior), and Alli Hernandez (sophomore) began preparing for the project in December and finished in February. 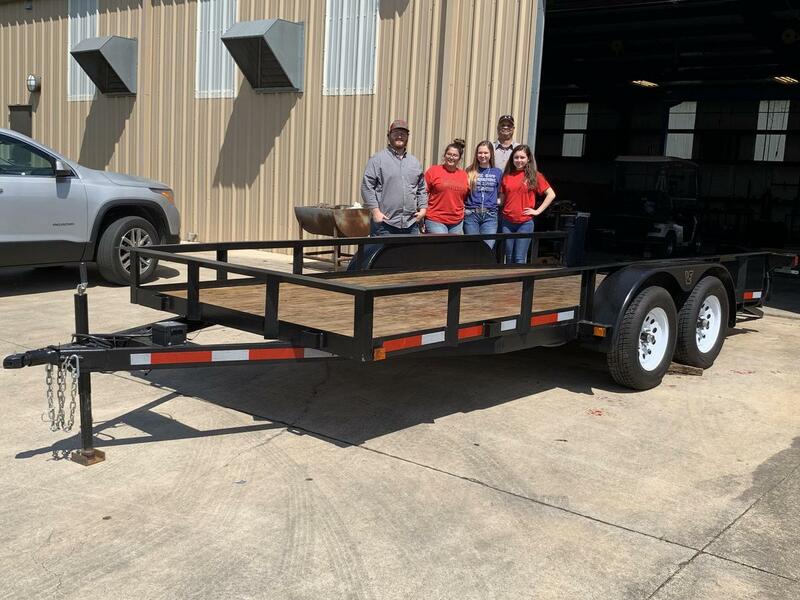 None of the students knew how to weld prior to the project, but with a special thanks to Mr. Holloway (Victoria East High School Ag teacher) they learned a new skill. "A lot of time has been spent on this project," Kagen said. "The neat thing about it is that after learning this new process, we are now able to teach others". 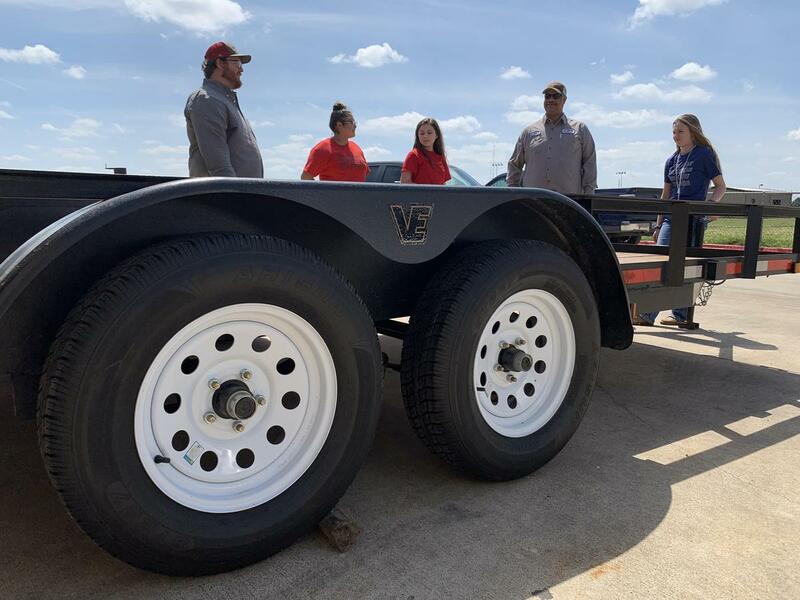 The team had the opportunity to show the trailer at the Houston Livestock Show and Rodeo, the San Antonio Livestock Exhibition, and the Victoria County Livestock Show as part of the Junior Ag Mechanics Contest. 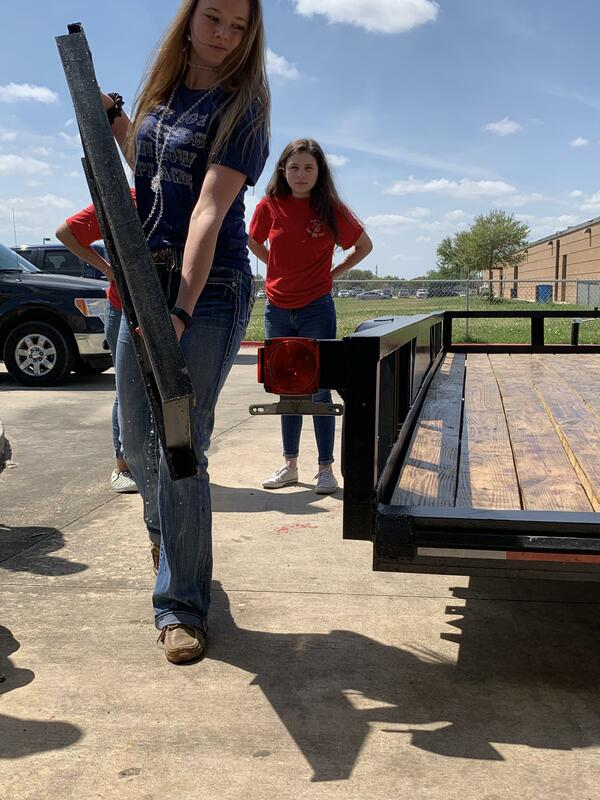 The girls placed 2nd in Metal Works at the Victoria County Livestock Show. 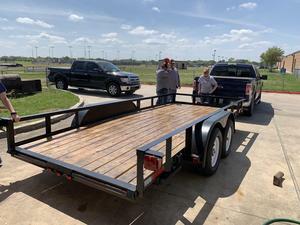 VISD Maintenance Roads & Grounds Supervisor, Mr. Robinson, was blown away when he received the final project. "This is better than anything we could have bought. I'm impressed!"